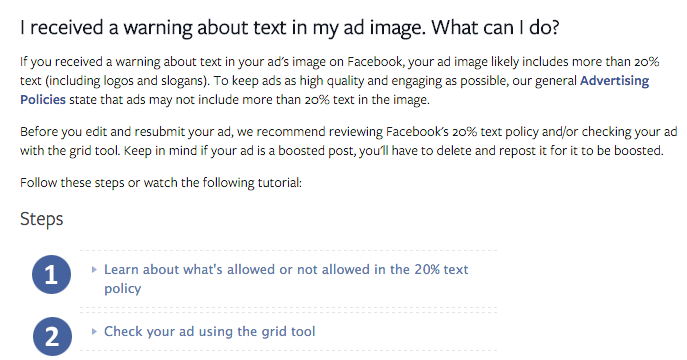 I can’t even tell you the number of times I’ve been tweeted, emailed or messaged about the supposed obliteration of the Facebook 20-percent text rule in ad images during the past week. People hate that rule, and some were stumbling on evidence that it was no more. At first, I assumed people were just seeing or imagining things. Let’s face it: People get a little bit too worked up about this rule. So I figured their hatred for it simply clouded their judgment (or eyesight). But I kept getting these messages. And there was one common thread among most of those messaging me: They were from the UK. 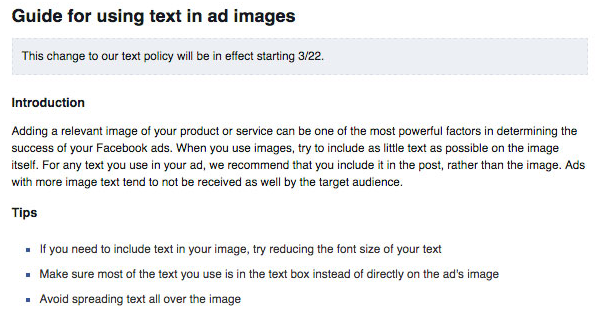 To help advertisers achieve their business goals while providing people with an enjoyable experience on Facebook, we’ve had a policy limiting excessive text (more than 20%) on images in ads. 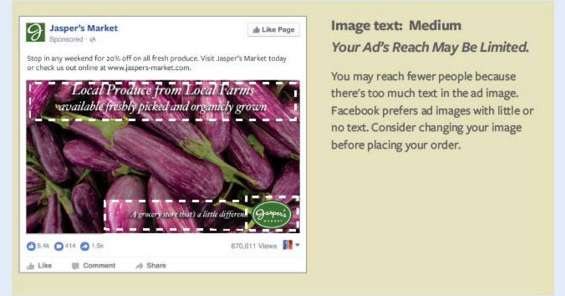 We’re always looking for ways to improve the experience for people and advertisers, which is why we’re testing a new solution that will allow ads with text to run, but based on the amount of text in an ad’s image, the ad won’t reach as many people. We will continue to monitor how this test impacts advertisers as well as people and will iterate to ensure we are creating the best possible experience. We’re testing in certain situations but are not changing the policy across the board at this time. 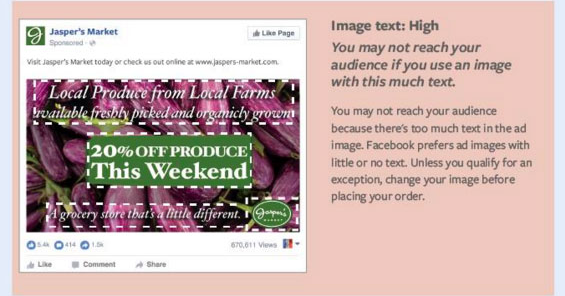 It’s true, then, that some people are seeing a change in the way Facebook handles text in images. It’s a test, and it isn’t an official change to the “policy across the board” for now. 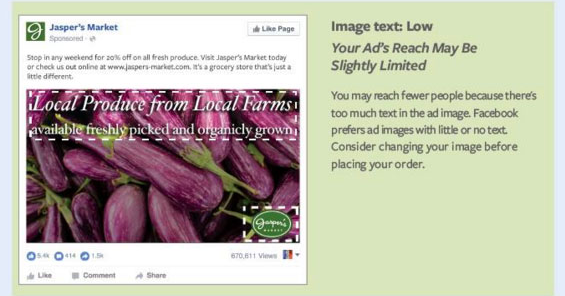 Thanks to an article from SearchInfluence, we can see what those within the test can see in the Help Center regarding Facebook’s adjusted handling of text in ad images. 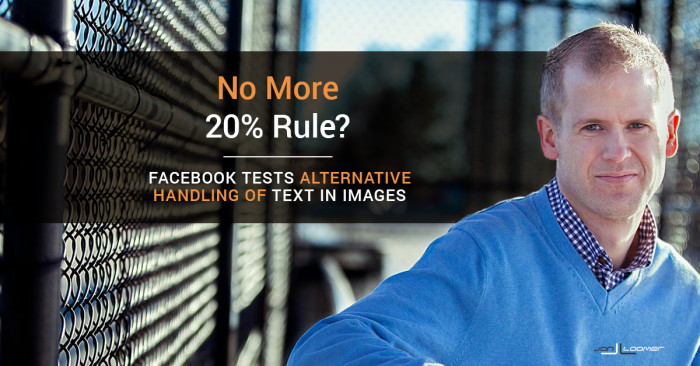 That page provides a guide on how to use text in images — rather than strict rules to avoid getting your ad rejected. What do you think about this test? 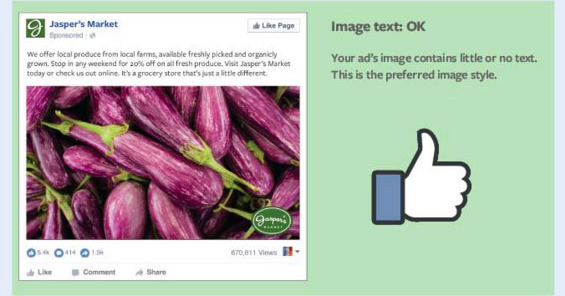 Does it change the way you approach text in images when advertising?